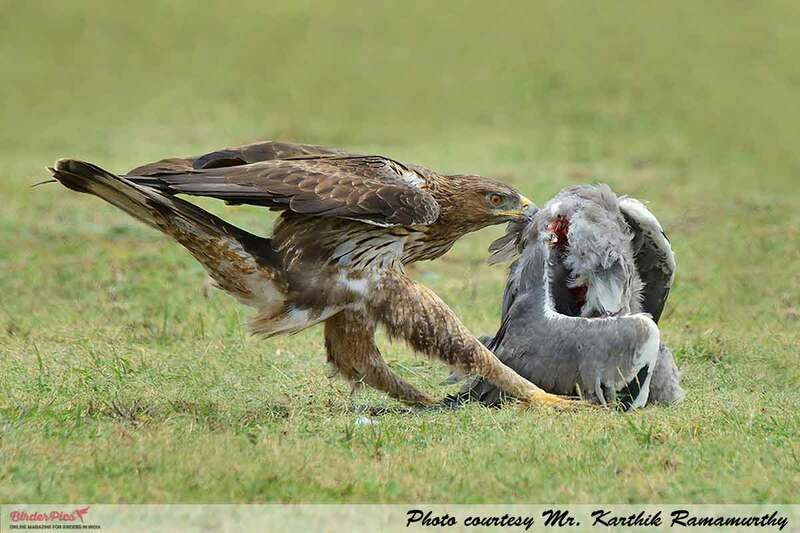 Mr. Karthik Ramamurthy is a well-known birder from Chennai, Tamilnadu. He has done his MBA. He conducts wild-life tours and nature trekkings. Mr. Karthik has been interested in birding and wildlife from a very young age. He got introduced to birding because of a friend who asked Mr. Karthik to accompany him on a birding tour. 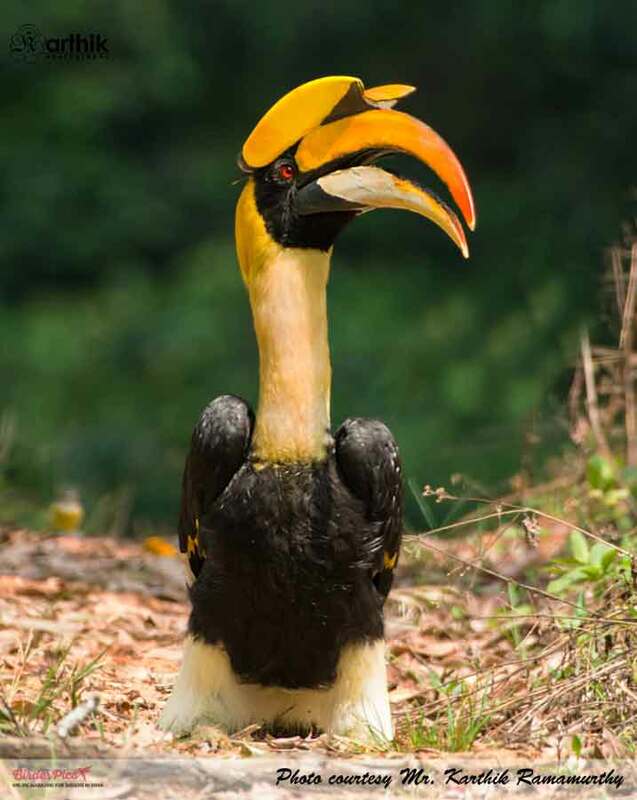 Great Indian hornbill on a flat surface in Valparai (Tamilnadu). Birding Destinations visited till now. Chennai and vicinity, most frequently visited destination is Pulicat Lake Bird Sanctuary. Tal Chappar and LRK, as he is fond of raptors. Mr. Karthik uses Nikon D7100, Nikkor 200-500/f5.6mm lens. Mr. Karthik has contributed in a big way to introduce Chennai as a recognized birding destination. To know more about Mr Karthik Ramamurthy write to us through the comments section. Your feedback is valuable for birderpics.com. The photos are unique and wonderful..